Great personal, good dental plans, a complete dental office that is painless and has easy parking. 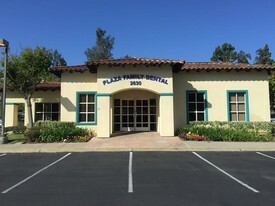 I would highly recommend plaza family dental to all ages. Staff members are very professional. Its always nice to walk in and get greeted with a smile. Truly nice to have caring Doctors. This is a very professional dentistry and the staff treat their patients with the utmost care. Personable staff and ease of getting appointments! Love that they take Care credit.